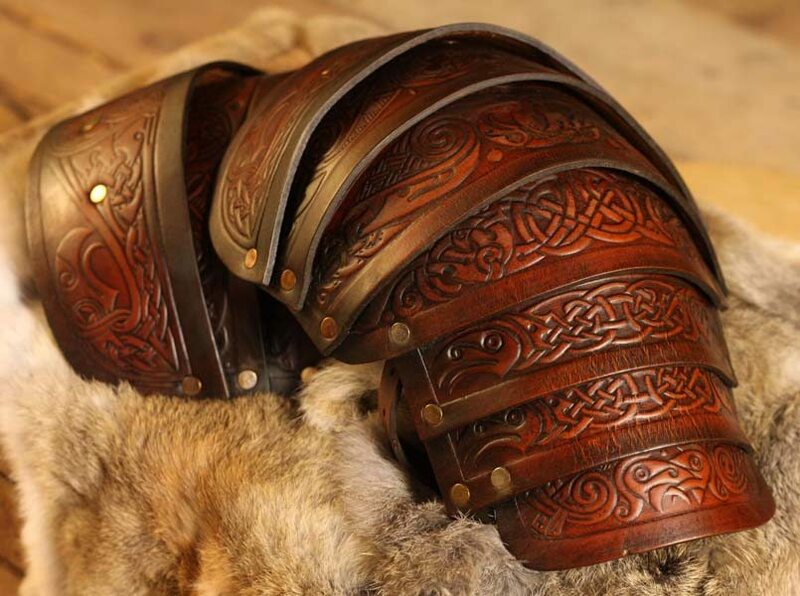 Designed with comfort and protection in mind by Alex Agricola, Black Raven Armoury’s founder the Vendel Raven leather Shoulders are tough leather shoulder guards often called a pauldron. 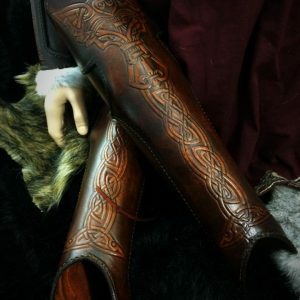 They Vendel Raven SCA Shoulders are formed of multiple layers of premium grade top grain Veg Tanned leather (laminated to a minimum 6mm thickness) which have been hand-dyed and embossed with a stylish knot work design. 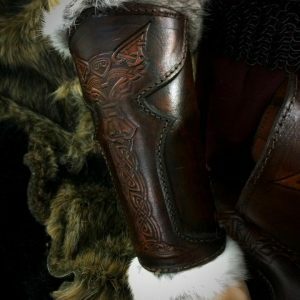 The Vendel Raven SCA Leather Shoulders / Pauldrons are a perfect match for The Vendel Raven Leather SCA Body , or can be work alone or with a number of accessories to create a variety of authentic, functional looks for a? 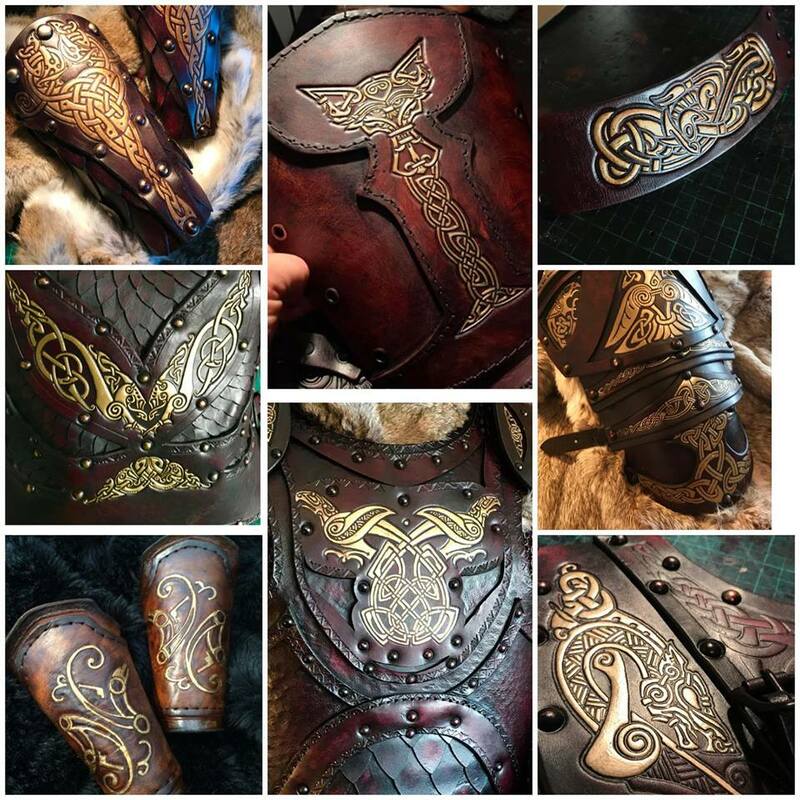 multitude of characters and occasions. 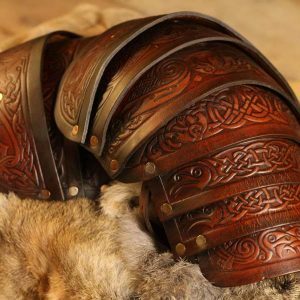 Traditionally shoulders such as these would be worn to protect one’s shoulders from sword strokes, arrows and other bladed weapons.